2 What Are The Advantages & Benefits Of This Product? 3 What The Customer Should Look For? 4 What’s The Best Way To Use This Product? If you’ve come to a place in your life where you feel you should invest in something that could benefit your health, mindset, and your overall quality of life, you’ve found the right article. 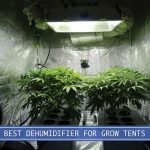 In this curated list we’ve provided you with all the necessary information you need to have the choice of whether or not one of these desktop air purifiers will work for you. This might be the perfect choice for those who want to feel better and breath better. When looking for an upgrade of your air quality in the home, you could start looking at some of the top rated brands in the market of that particular market. Such as browsing online customer feedback, as well as paying attention to some of the well known tech reviewers out there. 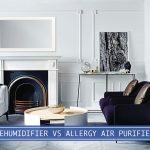 When considering the possibility of choosing a desktop air purifier that works well for smokers, it’s important to know that all air purifying units are different. Not just because of the different brands, but they tend to fall on a spectrum. Some units are more targeted towards odor prevention while some are aimed to clear out bacteria from the air. You have to ask yourself what will potentially work best for you. What Are The Advantages & Benefits Of This Product? In addition to helping clean the air in your living space, if you seek out to potentially purchase a unit for your home or office workspace, you’ll find that your health will drastically take a turn for the better. Not only will a unit help you breathe in clean air but your body will be able to process how you breathe without causing any side effects such as sinus or allergy issues that are so very common. If you’re someone who suffers from asthma, allergies, or any other breathing hindrance, your life could be ten times better with something helping you breathe and focus better while concentrating on your work. What The Customer Should Look For? If it’s important to you to find a beneficial and strong air purifier, you could start looking for specific benefits that only the top quality units contain. When looking for an air purifier, pay close attention to whether or not they have a True HEPA filter, which filters dust, pollen, smoke, odor, mold, and pet dander. You could also look for any added benefits or unique features in addition to the main function of the HEPA filter, such as charcoal filters used for odor control, or how often you need to maintain the specific unit you decide to go with. The best way to use this product is by placing the unit on your workspace or desk. If your surface is near a window or somewhere you typically smoke, these are all great options when it comes to deciding where you want to place your filter. At the change of every season it’s important that you change out your filters and in between those times, it’s necessary to maintain them by cleaning them out every two weeks, unless instructed otherwise by the specific unit you’re using. There have been rumors surrounding the studies of specific air purifiers, according to one EPA statement: “Relatively low amounts [of ozone] can cause chest pain, coughing, shortness of breath and throat irritation. Ozone may also worsen chronic respiratory diseases, such as asthma, and compromise the ability of the body to fight respiratory infections.” Which has been extremely rare, but if you’re worried about this small study, you can make the choice to leave the air purifier on for one hour when not in the room and turn the system off when you’re in the space it purifies. When you decide to purchase an air purifier there are some things you still need to know. Just because you’re using an air purifier does not mean you should stop your normal cleaning routine. Air purifiers only cover a specific distance depending on the size of the system you’re looking to purchase. You could take extra steps to maintain that the work doesn’t just fall on the small system, such as: vacuuming often, stop smoking indoors, and maintaining your heating and cooling filtration systems in the household. The Koios Desktop Air Purifier is a new option on the market. It’s ranked #1 in the new release category on many product sites and it’s easily become one of the potential go-to options on the market when it comes to compact and powerful air purifiers. The Koios brand provides great customer service and even offers a range of benefits that we’ve listed below for this particular model. The 3-in-1 purification filter applies the fine preliminary layer, the true HEPA layer and the activated carbon layer reducing unpleasant odors effectively, such as pet dander, and smoking or cooking odors dwelling around your living spaces. Ideal for people who suffer from allergies or nasal stuffiness. The odorous air gets sucked into the bottom of the air purifier, filtered through the multi-layer filter, then ejected out of the top of the air purifier, filling your living space with cleaner, fresher-smelling air. Filters 99.97% of dust, pollen, smoke, odors, mold spores, and pet dander. Using this air purifier couldn’t be easier, as the one-button operation turns it on/off and controls the fan speed. Reports have shown that this unit is not as quiet as it promises to be, but that it can be accustomed to. This specific air purifier is a bit bigger than you might expect, but can still be used for a desktop area without much issue or inconvenience. The Levoit Air Purifier is a sleek design and a crowd favorite. This unit has a unique 3 stage filtration system, as well as an odor controlling charcoal filter, perfect for smokers and work areas. When considering this unit, it’s important to know that there are also three speed settings for various conditions you might face in your smaller spaces. 3 Stage Filtration System: Pre-filter, TRUE HEPA Filter, & Activated Carbon Filter. It removes 99.97% of dust, pollen, smoke, odor, mold spores, and pet dander; filters particles as small as 0.3 microns and larger and filters air pollution of PM 2.5. Ideal for people who suffer from allergies and nasal stuffiness. Unique size and contemporary design makes it a perfect fit for office spaces. 100% Ozone free, does not use UV or Ions which produce trace amounts of measurable ozone, a harmful air pollutant. Helps filter out smoke, contaminants, and odors from wildfires. This unit has been known to make a loud buzzing noise for some customers when only being used for about a month, to avoid this we suggest possibly checking the warranty and returning for a refund or another functional product. This unit has been known to be a bit noticeable when it comes to the sound it emits. 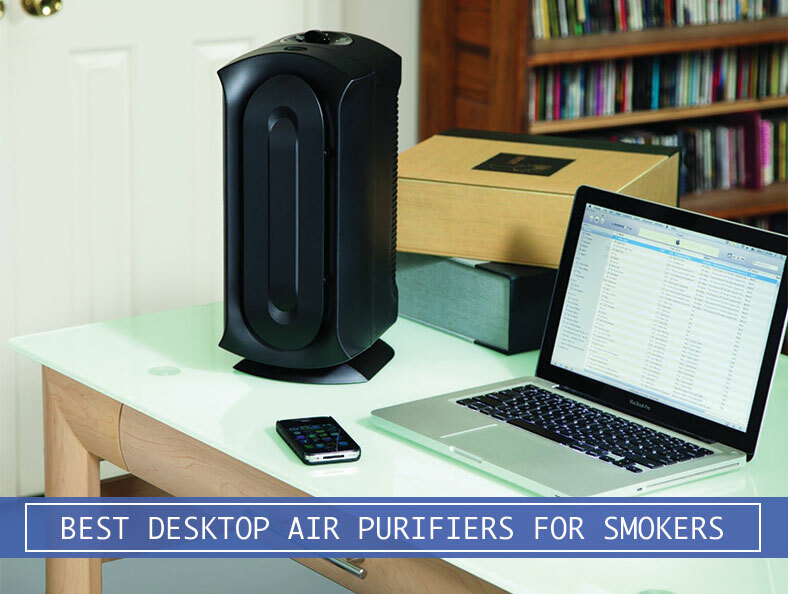 PureZone 3-in-1 Air Purifier works to sanitize the air in your home or office. Because of how design friendly this unit is, it could work well in bathrooms, closets, or on your desk at the office or at home. This unit also offers the user an automatic timer to conserve energy and your electric bill cost. With a noise level at just 30dB, PureZone silently sanitizes the air for easier breathing and more restful sleep. Sets up in seconds for immediate use out of the box and features an optional automatic timer that shuts off the unit after 2, 4, or 8 hours of continuous use to promote energy efficiency. Can only be used for very small areas and can not be used in larger spaces. Many have commented on the fact that this product seems to be made out of flimsy and cheap plastic. Some customers have complained that the buttons of the unit have not worked as soon as they received the product. This sleek and modern air purifier is perfect for anyone who’s looking for a discreet option for clean air. The SilverOnyx offers this and much more, making sure that this compact model can handle just about anything, it works best in smaller areas, such as wardrobes, small offices, or even a bedroom. High quality air purifier with true HEPA H13 filter captures 99.97% of dust & allergens up to 0.3 microns including ultra-fine dust, smoke, pet dander, etc. A built-in air ionizer generates negative ion particles that help eliminate the occurrence of airborne bacteria and reduce static electricity buildup in electronics. Additionally, this model features a PM2.5 (particulate matter) sensor that will automatically adjust airflow to ensure the highest level of air quality in the room. The SilverOnyx HEPA air purifier with ionizer, UV sanitation, and activated carbon combines three of the world’s best air purification technologies to provide fresh, clean air at home or at the office. This unit is only suited for smaller spaces and can not work properly in larger areas. Some reports have been made that this unit tends to be noticeably loud. If you’re considering an air purifier on the cheaper side for your closet or bathroom, this could be the perfect option for you. This unit is lighter on it’s power which means it should not be used in spaces more than 50 sq ft. To get the most out of this filter, you could make sure the filter stays clean, and use it only when necessary. HEPA filter removes 99% of air impurities, like dust, pollen, smoke, bad smells, mold and pet dander. Less airborne allergies and pollutants inside your home or hotel room makes for a safer and healthier environment for you and your family, roommates, or pets. When it’s time to change the filter, a convenient indicator light will alert you right away. The Ionic air purifier uses activated carbon and a 360-degree air inlet to eliminate those unwanted odors. This unit has been known to not work as soon as it’s taken out of the box. Be sure to pay attention to the warranty of this product before you potentially spend money on this specific unit. This unit has been known to have radiation and is not allowed to be sold in California. Our personal favorite and the winner out of this curated list would be none other than the Levoit Air Purifier! Overall this product is potentially one of the most balanced systems you can get for the average price on the market. Perfect for those who smoke, deal with allergies, or for those who just have pets, this could be the perfect system for your desk. Like we mentioned above, it’s important to read over the fine details, paying attention to what each product can uniquely provide to you in your particular lifestyle. Of course this system offers True HEPA filtration, as well as a multifunctional charcoal filter for those who deal with unwanted odors. If you decided to purchase this system you’ll potentially see right away just how much of an impact it can make in your day to day quality of life.